There are famous landmarks all over New Orleans. But in the French Quarter and on Bourbon Street there are famous landmarks at almost every address you pass. 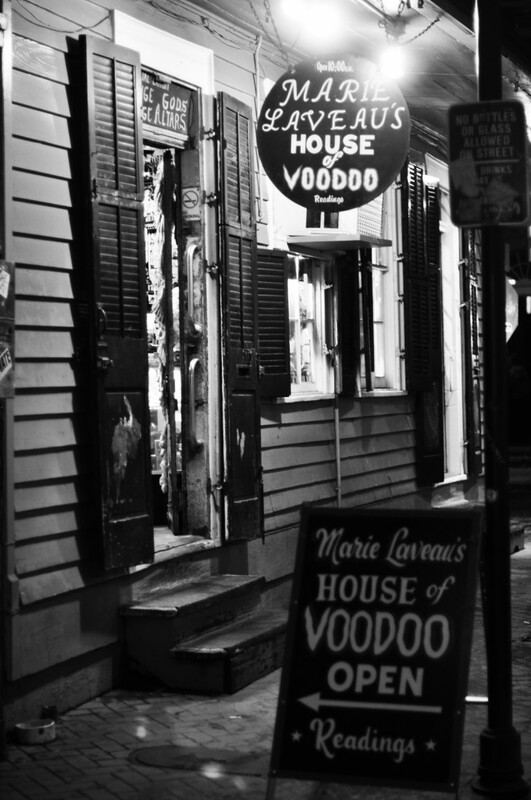 One such place is Marie Laveau’s House of Voo Doo. Check back for more photos of famous landmarks worth visiting while you’re in the French Quarter. This entry was posted in French Quarter Landmarks and tagged beads, bourbon street, french quarter, louisiana, mardi gras, marie laveau's house of voodoo, new orleans, sight seeing by Jim. Bookmark the permalink.